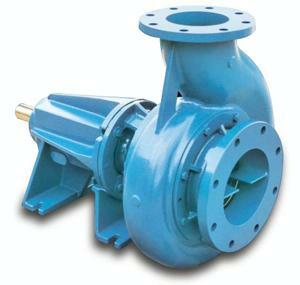 The volute refers to the part of the casing which expands along its curvature around the pump. The primary function of the volute is to convert the kinetic velocity of the water developed by the impeller into pressure. The volute achieves this by gradually increasing in area along the pump as it approaches the discharge port. This causes a gradual drop in velocity and an increase in pressure. The volute also serves to minimize circulation losses and balances the forces around the impeller.